Product Description (Back cover): When Walt Disney died, the studio went into a creative lockdown. The mantra "What Would Walt Do" comforted the old-timers, but it shackled the up-and-comers who wanted to take big risks on new approaches to animation. 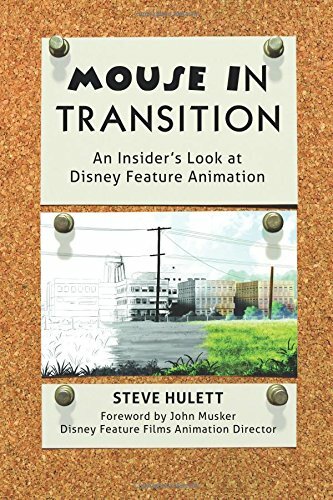 Hulett's wit and dry humor, coupled with his first hand accounts of working side-by-side with Ken Anderson, Woolie Reitherman, John Lasseter, Little Mermaid co-director writer John Musker (who wrote the foreword), provided unique and unprecedented insight into the rapidly changing Disney Studio of the 1970's and 1980's. GMD mention: Pages 51, 52, 65-69, 73-74, 79-80, 83, 89, 92, 101, and 103.